"This is a difficult situation — this young cormorant obviously needs help if possible, but as long as it can fly and swim, it will be nearly impossible to catch. Wild goose chases don't just apply to wild geese! "In cases like this, the only opportunity to capture the bird may be (unfortunately) as it becomes more debilitated from infection or hunger. "If you do have the opportunity to look for this cormorant again, you might go prepared with a deep, long-handled net (small holes in the mesh would be best so the bird doesn't get tangled), a beach towel or blanket, some thick work gloves, and a secure cardboard box with air holes, lined with a towel. (Actually, this is a good bird rescue kit to have for all sorts of situations.)" The rest of her advice follows. 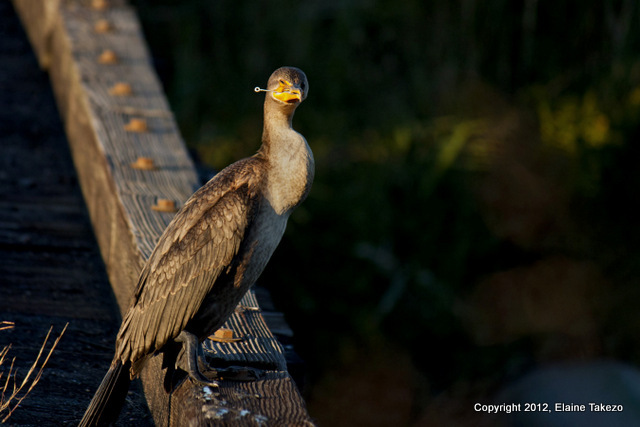 Elaine Raine saw this young Double-crested Cormorant over the weekend in DeKorte Park. 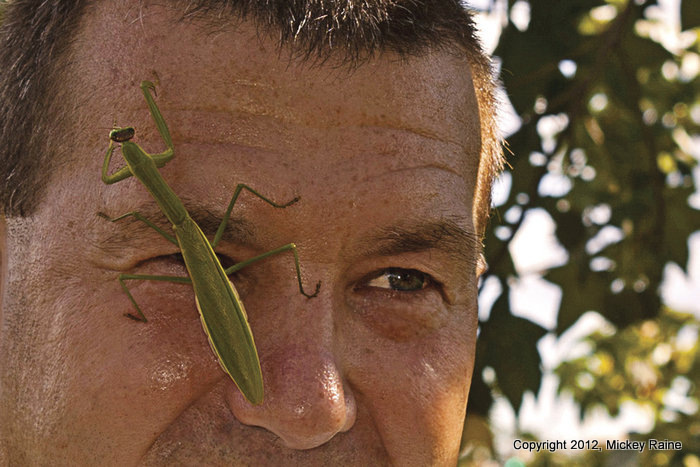 If you look at the photo closely, you'll notice it has some sort of metal pin in its mouth — not a good situation. You can also contact the NJMC's Jim Wright, jim.wright [at] njmeadowlands.gov. The Hudson Reporter this week featured a neat little story and slide show about this Praying Mantis photographed by Mickey Raine, a friend of this blog. The link to the slide show and story are here. 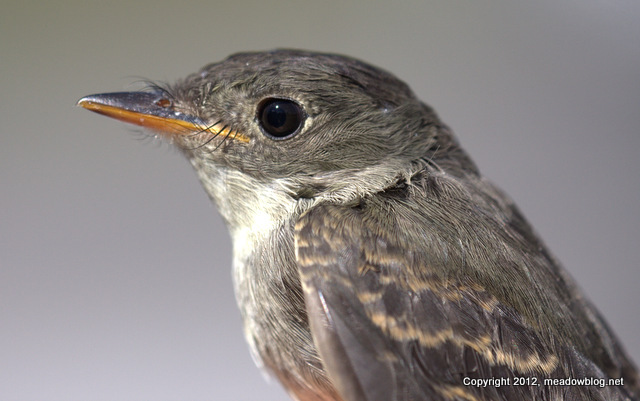 The NJMC bird-banding crew, led by naturalist Mike Newhouse, banded this guy yesterday. After much consultation, the bird was determined to be a….